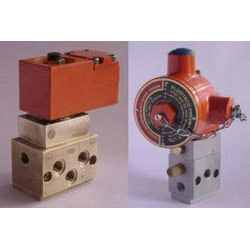 Prominent & Leading Manufacturer from Thane, we offer flame proof solenoid valves, diaphragm solenoid valves, air blaster valve, solenoid valve 4/2 way, 2 port solenoid valve and spool valves. 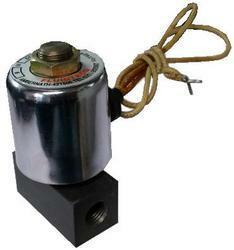 Our range of flame proof solenoid valves are used in gas flow applications. 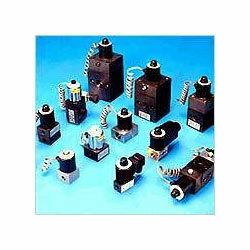 Being explosion proof also these provides optimum performance with complete safety. Our high pressure valve, are CMRI approved for their functionality and quality and are suitable for different gas groups. These are used in various industries lime oil & gas, nuclear power industry, petroleum refineries and other similar industries. The resilience of Diaphragm allows it to seal around particulates in the fluid, making it ideal for service with slurries, Air, Water, Oil. 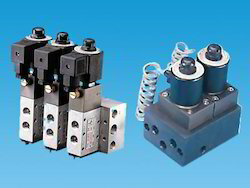 Diaphragm solenoid valves are used wherever fluid flow has to be controlled automatically. They are being used to an increasing degree in the most varied types of plants and equipment. 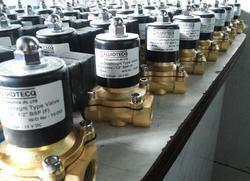 100% factory tested to ensure zero leakage from valves. Coils are made inhouse. Pick-up and drop-out as per standard. 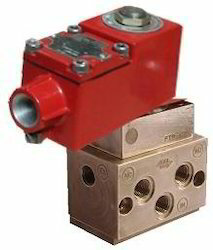 FLAMEPROOF diaphragm valves available. 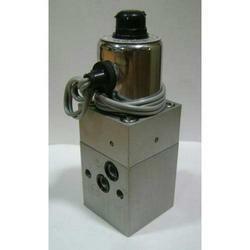 Type: 2/2 Way Pilot Operated Diaphragm Valve. Media: Dry or Lubricated Air / Inhert Gases / Water / Oil. Nominal Diameter: 8 to 50 mm. Material of construction: Aluminium / Brass / Steel(Optional). Port Sizes: 1/4" bsp to 2" bsp. Fluidtecq Air blaster valve solves effectively the problem occurring in Cement factories among other industries, with blockages occurring in pre heater towers (Kiln inlet, Cyclones, riser ducts...etc) and in grate coolers, thus providing substantial savings. Highly reliable for working in dusty atmosphere. A sturdy design, able to cope with the most severe operating conditions. Valve response time is less than 40 milliseconds. Solenoid Valve 4/2 Way offered are made available by us in precision designed finish standards and match up with the specific operational demands of the end processes these are employed in. These find applications in areas including in rotary actuators & double acting cylinder used in packing machines, sugar Plants, textile processing machines, chemical industry, petro chemical plants and others. Some of the popular sizes these can be made available in include ½', ¾', 1', 1 ¼', 1 ½', 2', 2 ½', 3', 3 ½', 4' BSP and others. 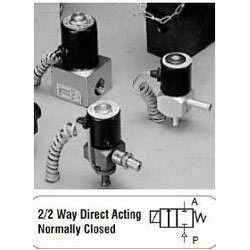 Size 1/8", 1/4", 3/8", 1/2"
2 Port Solenoid Valve offered are precision designed to deliver optimum functionality support at different pressure ranges that can be as high as 150 bars with general operating temperatures between 00C to 1500C. 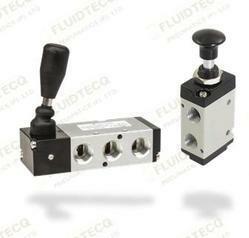 Further, the choice of different orifice also allows for wide range of flow rate possibilities. With world class designing facilities, we can also offer these in customer specified specifications in direct acting as well as in pilot operated options. Spool Valves offered are made available by us in compact finish designs with complete design flexibility in terms of choice of shafts, mounting, ports as well as operational speeds. Also allowing for easy and smooth controlling of operations, these are precision designed to provide for best combination of efficiency and economy. .
24V / 48V / 110V/ 220V coil, Class F Normally closed, IP 65,67 & IP 68 coil. Coil with LED available on request. 5/2 Way Valve offered is made available by us in precision designed finish so as to provide for optimum functional support in given end applications. These valves find usage in Rotary Actuators in packaging machines, Double acting cylinder as well as in other areas like in textile processing machine, Chemical Fertilizers and other areas. The compact, elegant as well as versatile finish of these valves also provides for their providing optimum functional support. 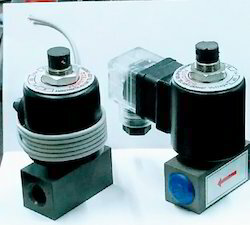 Solenoid Valve 2/2 Way offered comprises broad range of normally open as well as normally closed and offer functions as Poppet type, diaphragm type, direct acting, internally Pilot operated valves that find suitability for vacuum and handling oil, water, non- corrosive fluids, air, gases and other media. Some of the typical applications these are used in include in boilers, furnaces, oil and gas ovens, automatic dispensing units as well as industrial units including textiles, chemicals and others. Fluidtecq offers a broad range of Normally Open and Normally Closed 2/2 way Direct Acting, internally Pilot operated, Poppet Type and Diaphragm Type solenoid valve. Compact, elegant, robust and versatile. Long life and economical. 100% bubble tight. Material of construction: Aluminum / Brass / SS-304 / SS316 / P.P. /PTFE. Media: Air / Gases / Liquid / Vacuum / Haz Chemicals. Weather Proof as per IP-67. Flame Proof as Per IS 2148-1981.2Duly Approved by CMRS Dhanbad & COE Nagpur. Three-way (3/2 Way Type) valves have three port connections and two valve seats. One valve seal always remains open and the other closed in the de-energize mode. When the coil is energized, the mode reverses. Direct Acting Range: 1/8” to 1”. Internal Pilot Type Range: 1/8” to 3”. External Pilot Type Range: 1/8” to 3”. Seat: NBR / Viton / Neoprene / Teflon / EPDM / Silicon. Temp: -40 degree c to 180 degree c.
Coil Encl: Fly leads/ Terminal box/ plug-in-connector. Coil Type: Size I / Size II. Coil Voltage: Size I - AC Volt-12/24/48/60/110/220/380/440 V-6 W. Size II - DC Volt-12/24/48/60/110/220V--8W. 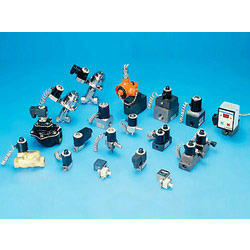 Looking for Solenoid Valves ?